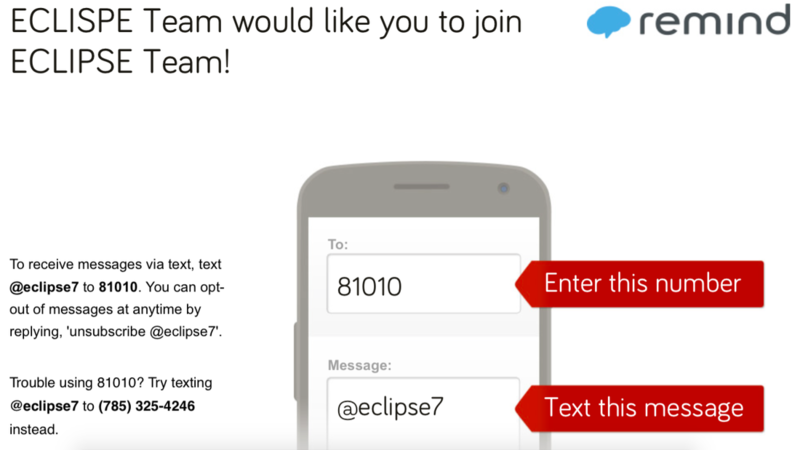 The link below allows you to sign up for donations to the Team Eclipse winter holiday party. If you click on the button below it will take you directly to where you need to be to sign up for your donation! This is open to any individuals wanting to help out with our annual winter party for the Team Eclipse students. Our students work hard throughout the semester and we are looking forward to rewarding them for that hard work. Anything and everything that is donated is greatly appreciated by the Team Eclipse staff! Thank you! P.S. - If you decide to donate you only need to donate one item. When you sign up, the only information we need is your phone number in case the team needs to contact you for confirmation. Sign Up For The Holiday party here! Team Eclipse visited the Kanza Prarie on Thursday and we all had a blast! Mrs. Walters did a tremendous job setting up all of the activities that we were able to do. Thank you to all of the parents who helped as chaperones, you all were a huge help! The tour guides who led our groups did a phenomenal job, I know that everyone was able to leave with a little bit more knowledge about Kansas geography. Here is some of the proof of how much fun we had.